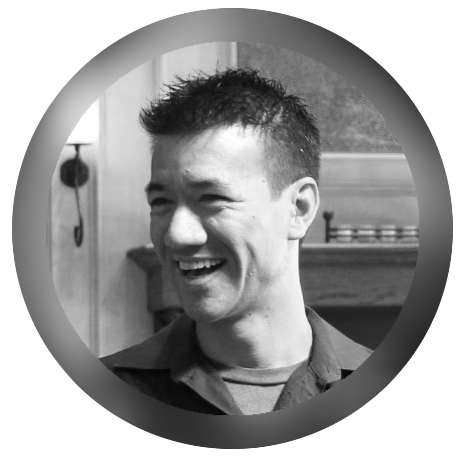 Dan is a Principal Consultant at Apogee, as well as the co-founder of the UX Hong Kong conference. He has been involved in the UX field for over 20 years, and has been based in Hong Kong for over 18 years. Dan has lectured about usability, user-centred design, and user experience globally. 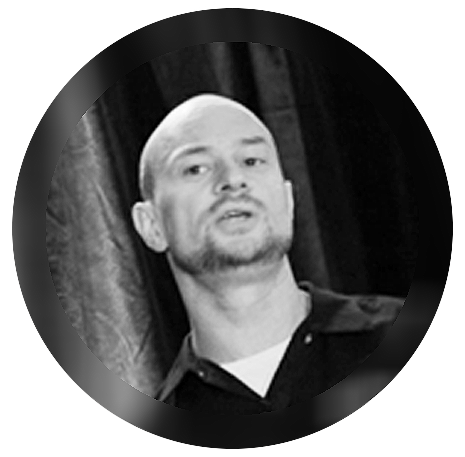 He co-wrote The Usability Kit, an implementation guide providing best practices and guidelines for usability teams, and he holds a Bachelor of Science in Information Management from Melbourne University in Australia. He was the Vice President of the UX Professionals Association (UXPA) International and is also on the Editorial Advisors Board of Rosenfeld Media. He recently published a book on Global UX with Whitney Quesenbery. People face frustrations in work today that are fundamentally getting in the way of our ability to deliver on meaningful work. Corporate structures are badly designed and projects often prevent people from being able to do their best. Businesses are left confused after being fed a constant flow of buzzwords like ‘innovation’, ‘user experience’, ‘design thinking’, and ‘creativity’, and projects are not designed or staged to enable people to practise fundamental skills (skills that help us facilitate delightful and fulfilling experiences for people). Project teams suffer from a variety of issues: they lack time; they lack a clear vision; project requirements are poorly articulated; and communication gaps create barriers between disciplines. Often, too many features are implemented that have no immediate value and don’t meet an urgent customer need. In this workshop, we’ll provide an open forum to share our collective work stories and produce an ideal project journey that reflects our ideas on how we can design more meaningful work. Project artefacts for smoothing project communications. ‘Shane Morris is one of Australia’s most respected user experience design professionals. Beginning his career in the early 90’s, Shane has had experience in small and large organisations, working as a consultant and in-house. He was a General Manager and Principal Consultant at The Hiser Group, one of the world’s first commercial usability consultancies, and later became one of Microsoft’s first User Experience Evangelists. These days he runs Automatic Studio, a small digital product design agency with clients such as Cochlear, Microsoft, Telstra and Westpac. Shane has a particular focus on mentoring and coaching user experience teams, and has spoken and taught around the world on interaction design and user experience. Shane holds a Master’s degree in Cognitive Science, and is a 5-time Microsoft Most Valued Professional. Automatic Studio’s work has been recognised with Australian Good Design awards, and Australian Mobile Awards, among others. Designing a bespoke hand-held device can be challenging enough. Now add a requirement for the device to be appropriate for an audience from five year-old kids to ninety five year-old retirees. Then, to top it off, what if the device can control one of its user’s five senses? Automatic Studio has been lucky enough to work with Cochlear Ltd for the last 5 years on a variety of initiatives designed to assist individuals, carers and clinicians to restore and manage the hearing of deaf and hearing-impaired people around the world. In this case study, we’ll follow the physical and digital design of Cochlear’s latest generation Remote Assistant device. We’ll look at the challenges of coordinating industrial design, ergonomics, electronics, embedded software design and user interface design for a device comprising both physical controls and a digital screen – all designed to fit in the palm of your hand. Along the way, we’ll also discuss Cochlear’s approach to user centred design and provide our tips for integrating user experience practices into an organisation with a reputation for world-class engineering and a daunting duty of care. When we design new user experiences we change the things people do, or the way people do things – we change behaviour. However, if we want to change people’s behaviour, then we need to be able to envision, share, refine and validate those new behaviours in the full context of users’ lives. That’s where scenarios come in. Scenarios are stories that describe people living with our products. By drawing on our shared cultural tradition of storytelling, scenarios provide a compelling, insightful and approachable way to understand issues of context, motivation, usability and emotional response in our products. They are our first designs. In this workshop you’ll learn to create scenarios and other types of stories to identify product opportunities, form design hypotheses and focus the design and evaluation of new user experiences. Drawing on your existing ability to tell a story (trust me! ), we’ll cover character development, motivation, internal dialog and story arc - all in the context of creating great user experiences. In this hands-on workshop you will spend time trying story-telling techniques and sharing your experiences. See for yourself how valuable - and fun - it is to integrate scenarios into your user experience design practice. 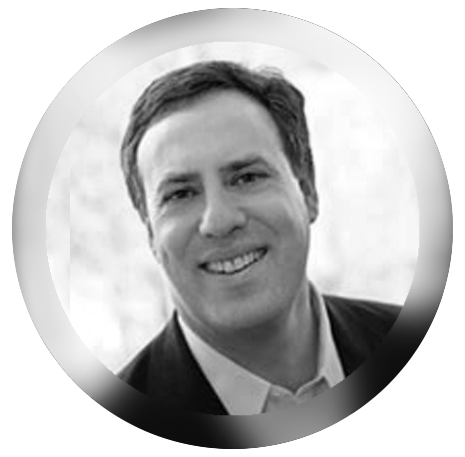 Bill Albert is Executive Director of the User Experience Center at Bentley University. Albert brings more than 15 years of experience in user experience research and design to his role leading the center. He has expertise in user interface design, information architecture, qualitative and quantitative research techniques, and user experience strategy. 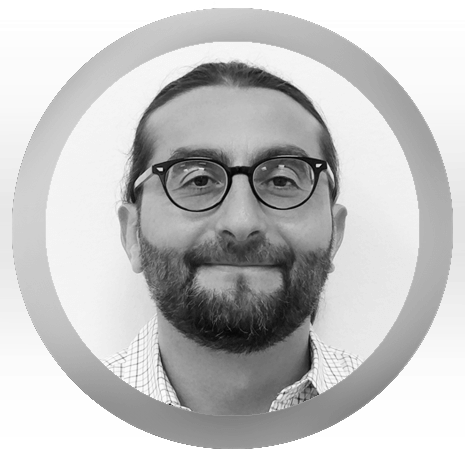 Prior to joining Bentley, Albert was Director of User Experience at Fidelity Investments, Senior User Interface Researcher at Lycos, and Post-doctoral Research Scientist at Nissan Cambridge Basic Research. Albert is currently an adjunct professor in the graduate program in Human Factors in Information Design at Bentley University. Albert is Co-Editor in Chief of the Journal of Usability Studies. Albert co-wrote (with Tom Tullis) the first book on usability metrics, Measuring the User Experience: Collecting, Analyzing, and Presenting Usability Metrics (first edition 2008, second edition 2013). He also co-wrote (with Tom Tullis and Donna Tedesco), Beyond the Usability Lab: Conducting Large-Scale Online User Experience Studies in 2010. Albert received his BA and MA degrees from the University of Washington (Geographic Information Systems) and his PhD from Boston University (Spatial Cognition). He completed a post-doc at Nissan Cambridge Basic Research. Have you ever wondered how to make a bigger impact on your organization or simply get noticed by senior management? This presentation will share some insights on how to move your UX career to the next level. As the head of the User Experience Center (UXC) at Bentley University, one of the largest UX graduate programs in the world, I have had the unique perspective of helping many students who are starting to build a career in the user experience field. I will share some ideas on how to advance your UX career and common mistakes to avoid. For example, I will discuss how to choose the right projects, effective ways to present your work, and how to champion for user experience within your organization. The goal of this workshop is to introduce a variety of quantitative UX research methods that are often overlooked during the user-centered design process. Most UX researchers rely heavily on qualitative methods. However, quantitative techniques offer additional insights and provide the necessary data to make the right decision and business decisions. The workshop will review how to collect, analyze, and present the most popular UX metrics. The workshop will also introduce some lesser known, but highly effective UX metrics. The workshop will also touch on quantitative techniques such as open/closed card sorting, surveys, unmoderated usability testing, and first click testing. The workshop will conclude with a discussion on how to integrate these quantitative techniques into your design process. Together, these quantitative techniques will expand your UX toolkit and make you a better-rounded UX researcher. Steve Fadden works as a user researcher with Analytics User Experience at Salesforce. He also serves as a lecturer at the School of Information (I School), University of California, Berkeley. He received his Ph.D. in Engineering Psychology (Human Factors) from the University of Illinois in 1999, where he studied cognitive and perceptual factors associated with navigation (especially head-up display design), air traffic control, reading, and task switching. His has worked in industry, consulting, and academic environments, serving in individual contributor and management positions. Steve has had the opportunity to experience working in a number of development environments, from waterfall to agile, in domains as diverse as consumer transactions, financial operations, intelligence and security analysis, and aviation and transportation. Steve is passionate about education and mentoring, and has worked with a number of clients and organizations to research and develop solutions to address the needs of diverse learners (such as students with disabilities and those from underserved environments). Rapid development approaches like Agile can be a blessing and a curse for UX practitioners who want to do their best work in the best possible way. It takes time to fully understand the problems and potential solutions we create for our end-users. However, the time we spend on comprehensive research, design, and development can delay the progress our organizations ultimately make. How do we contribute to the development of good products and solutions without delaying our teams? A flexible and team-centered approach to UX research can help provide a solution. Do you work in a rapid development environment? Do you want to help your team gain insights about your end-users, their needs, and your designs? Whether you’re a designer, engineer, manager, or a researcher in need of a refresher, this workshop will help enhance your research abilities. We will explore qualitative research techniques including in-person and remote methods, as well as synchronous and asynchronous activities. The workshop includes techniques that work well with cross-functional teams, including activities to develop group observation, analysis, and synthesis skills. In addition to research methods, we will also discuss tips for research-related activities such as recruiting and reporting, and engage in a discussion to talk about current challenges and share effective practices. 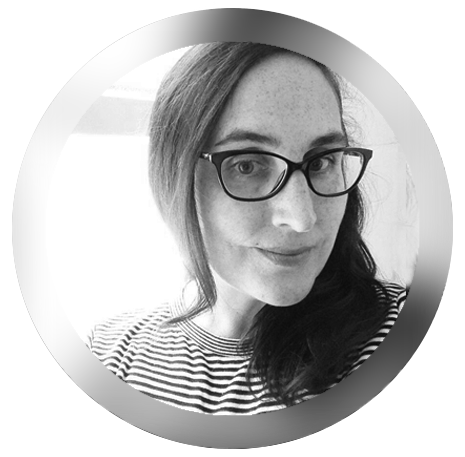 Chloe is a passionate digital creative director, designer, researcher and strategist who's spent over 17 years designing digital experiences for the Australian and American markets. She spent her first 8 years in the industry working for Australian and U.S. clients on e-learning games and consumer sites. The next 8 years were spend in New York as a UX design consultant and Principal Creative Director at Catalyst Group designing digital experiences, products, and design systems for over 40 major brands—most notably Christie’s, Accuweather, Cablevision, Hearst Corp., Scholastic, MSN, Redbox, Time Inc. and The College Board. And now she's about to celebrate her 1st anniversary as Creative Lead for Digital Customer Experience at ANZ, Australia. Her work has received over 20 awards including 1 DEMOGOD award and 2x Webby awards for the digital account hub Manilla. Academically, she holds a B.Design (Visual Communication) degree and lectured in Visual Communication from 1998 - 2006. Her most recent M.Design (Research) degree thesis investigated the use of mobile apps to encourage deeper and more emotionally rich learning experiences in museums. We are all unique. We can feel inspired and hopeful; desperate and dissatisfied. That’s the human condition. We are simultaneously driven by a deep need for meaning and purpose; and the desire to feel good. In this talk I want to share an approach for designing “from the heart” that will help you use empathy to dig deeper into the motivations and desires driving your “users” and open up your intuition to inspire opportunities for innovation. This workshop will teach you how to sharpen your powers of empathy and intuition. It will show you how designing for individuals can inspire solutions of great depth and when at scale, also great breadth. 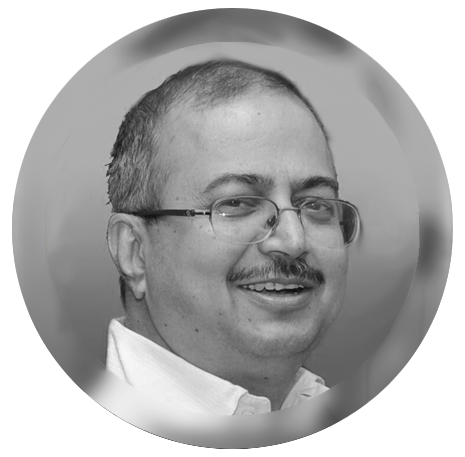 Samir Chabukswar is the founder and CEO of YUJ Designs. 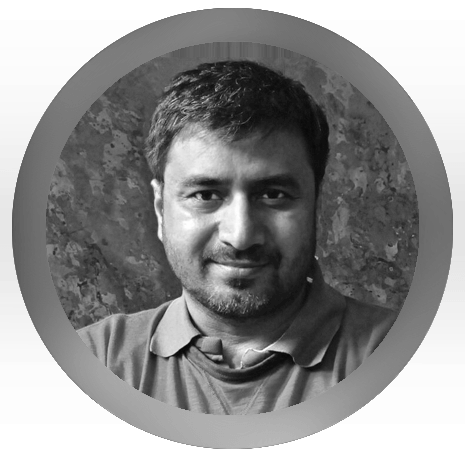 For well over 15 years, Samir has successfully led design teams that have delivered par excellence user experience to customers worldwide, including many Fortune 500 companies. He has been involved in the design and management of over 1700+ user experience projects across a variety of products and domains. 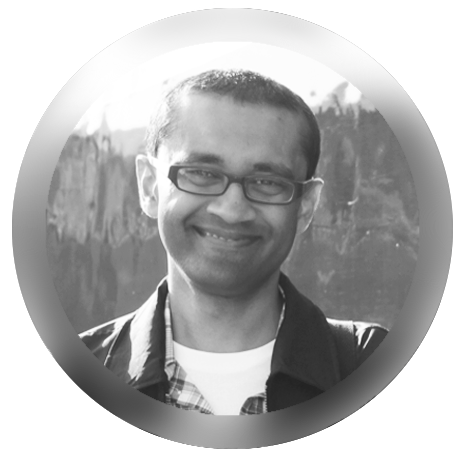 Samir is passionate about building high quality design teams and mentoring designers. He has led YUJ Designs with the same vigor to make it one of the leading UX studios in India, and has become a recognized leader in the field. He is a frequent speaker at national/ international conferences and has authored publications. 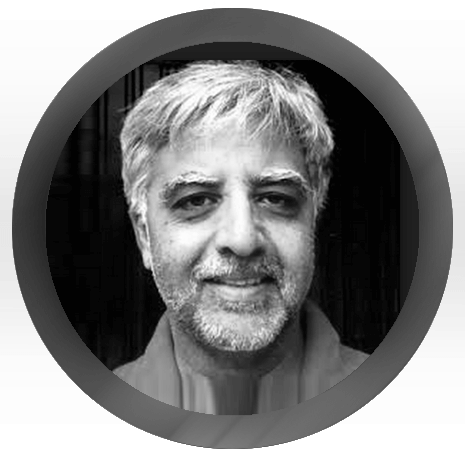 During his career as an Industrial Engineer in the 90’s Samir has led projects that employed concepts of Just in Time (JIT), Lean Production Systems, Business Process Re-engineering (BPR), concepts that are now being applied to software development. 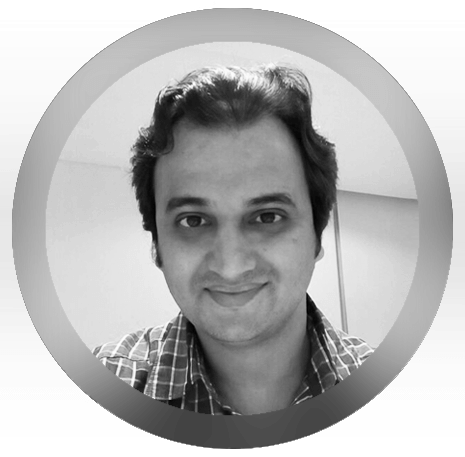 Samir holds a Masters degree in Industrial Engineering (Human Factors) from Clemson University, US, an advanced degree in Business Administration and a Bachelors degree in Industrial Engineering. Multiple factors, big and small, simultaneously are impacting the way people are experiencing technology around the world. Its impact on India is significant. Latest technology is available at the same time as that of the world, and digital technology is available to a large population, not just a few early adopters. Because of these rapid changes, trends are emerging that will have an impact on the business of design. What are the trends we see emerging? How do these trends impact us as designers, design practices, businesses? What is the extent of the impact? Gregorio Convertino is a Principal User Researcher at Informatica (Redwood City, USA). Since 2013 he leads UX research on Informatica's novel products for data analytics by business users such as REV. His research work focuses on User Experience (UX), Human-Computer Interaction (HCI), Information Visualization, and Collaborative Computing. Before Informatica, he has worked as researcher at Xerox PARC (USA) and Xerox Europe (France) and taught graduate HCI courses at two universities. He has a PhD degree in Information Sciences & Technologies (HCI) from Penn State University (USA) and has generated about 9 US patent applications and 50+ peer-reviewed research publications. I will talk about my 25 year career being a Visual Designer for user experiences. From designing for MSN and one of the first shopping web sites to developing innovative data integration applications, my insight in the evolving world of UX design and how Visual Design and the Visual Designer plays a crucial role in creating a successful user experience. I will also cover some best practices in VX design such as Visual Languages, Brand Extension in VX, Accessibility, and Following a Vision. 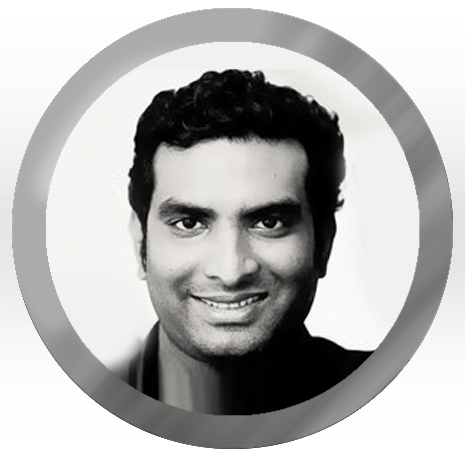 He is a Visual Effects Supervisor from India with 15years experience. Vfx supervisor for the blockbuster film Bahu Bali which is the most expensive film so far in India. CEO of the company “INDIAN ARTISTS Computer Graphics Pvt. Ltd.” which has won 3 National Film Awards(Indian Oscar) for the Best Visual Effects for the films “MAGIC MAGIC Stereoscopic” in the year 2003, “SIVAJI – THE BOSS” in 2007 and “Endhiran The Robot” in 2010. He co-founded a tech startup named Bookpad Inc. which got acquired by Yahoo!. An entrepreneur and a user experience designer. New product development is his passion and forte. In the last 4 years he worked with startups and fortune 500 companies (Cognizant, Microsoft, Symantec etc. ), building products for them. His entrepreneurial background goes all the way back to college where he teamed up with friends and worked on various business ideas, one of which is a design services firm called Purpleleaf which went on to do projects for clients like IIM Ahmedabad. He was also the president of the Entrepreneurship development cell at IIT Guwahati, leading a team of students on various entrepreneurial activities. He is a Kairos fellow and happens to be a part of the first delegation from India that was invited to the Kairos summit (Kairos is a worldwide student network of Entrepreneurs). 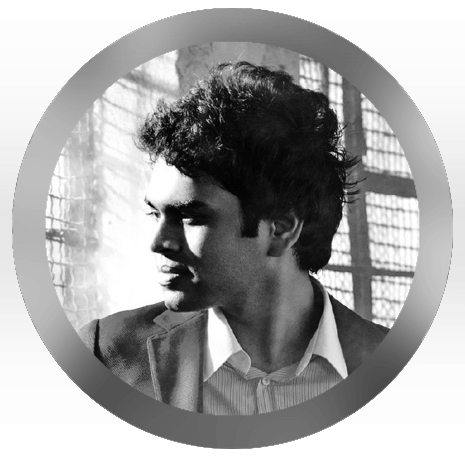 He has graduated from the Indian Institute of Technology Guwahati with majors in Design. Adam is Director of User Experience at Software AG. To drive the co-innovation with customers he has been spreading the ideas of user centricity and innovative culture to teams from R&D, HR, data center and to the executive board. He has influenced teams into a more collaborative, user-facing culture, which automatically improves the quality of the products. He has lectured at conferences, in schools and at universities, teaching an easy way to solve difficult problems quickly, creatively and collaboratively. Adam is father of two girls and is passionate about learning new things every day. He is crazy about endurance sports, fitness and minimalism in everyday life. I will show you how three small changes in the development process can have a huge impact on the product quality and make everyone feel good: the end users, product managers, developers and designers. This approach was refined with teams around the world. It embraces the essence of modern innovation methodologies such as Design Thinking, Google’s Design Sprint, etc. while being simple and operable. In this hands-on workshop I will show you the most effective, innovative methods which will help you solve real world problems quickly, collaboratively and with a lot of fun. You will learn techniques to understand the real customer problems and to build the simplest possible solution. In the end you will go home with a new toolkit of methods to solve your future problems. TS Balaji, TS as most people call him currently serves as the Executive Director for Converged Services and User Experience within Cox Communications Inc. He leads the digital experience; insights & analytics function within Cox Communications. Prior to joining Cox Communications TS was leading various domains within the User Experience group at Sprint. He was critical in launching products like Mobile TV, in driving cost out of the business through redesign of IVRU and creating strategies through cross channel and multi channel approaches to Digital experiences. TS has a Masters in Industrial Engineering from Louisiana Tech University and an MBA from Darden School of Business at the University of Virginia. This presentation will bring big data into the context of UX by describing how big data can inform UX focusing primarily on UX strategy. Quantitative models help make the experience be tangible by developing testable, causal relationships between product features and business outcomes (e.g., feel of product and product satisfaction), going beyond descriptive statistics for each feature and attribute. In this way, decision makers know where to make an investment that provide tangible returns to the product or service. As Chief of Experience Design, he is responsible for anchoring new engagements, building strategies and teams that help our customers – most of them fortune 500 - create winning solutions to business challenges. At office, his top operational priorities are design management, bringing structure, aligning strategies to goals, transforming talent through training, craft processes for culture of directed growth. He enjoys taking up wide range of projects at any time – enterprise application, comsumer sites and devices or innovation stints to create impactful designs. When time permits he would write, track advances in UX practice, trends or conduct workshops. Businesses are evolving at a rapid pace, and so are people’s lifestyles. So far we have seen UX focusing mostly on user interfaces but the experience of the customer has many touch points that start before and go beyond apps. Organizations that are investing in end to end experience are reaping great dividends - enhanced customer satisfaction, reduced churn, increased revenue, and greater employee satisfaction. Through this workshop, we will learn how to scrutinise user journeys, analyse touch points, detect users unmet needs and conceptualise design interventions that businesses would least expect. With concepts like inter-connected products, internet of things, digital experience and driverless cars around the corner, this workshop could help designers broaden horizon of opportunities and instrumental to show true value. 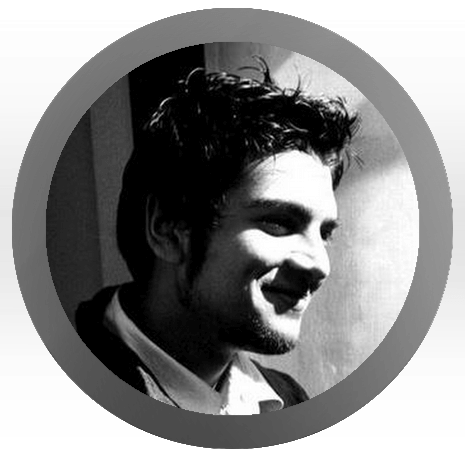 Hitesh is head business practice of Endeavour Interactive. He works with clients to make their design and UX great by paying attention to past, present and future customer behaviours, motivations and aversions. 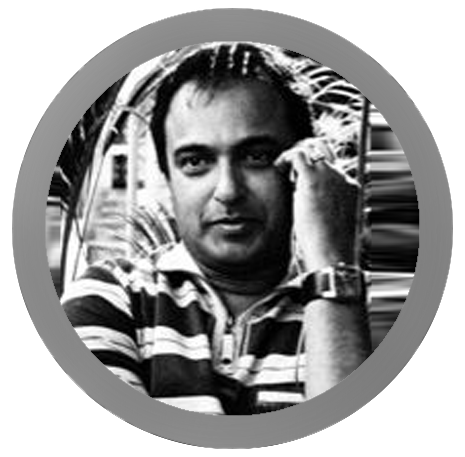 Hitesh had built high performing teams, establishing design practices, mentoring and growing the next generation of designers, design interfaces and experiences. He drive’s strategic discussions at the highest level, focusing first on user needs to inspire product innovation for business objective. As former co-founder of the design teams for Kyocera India (later acquired by Mindtree) and Runine Design Consultancy, He has been building great skills to build teams, execution and communication. An avid advocate of Design Entrepreneurship, He has shared his “Co-Creation” approach across forums at Technology conferences, UX India Conferences and more in India and US. We are in an age where expectations of user experiences is high in a digital solution. Yet the challenge is, how do we ensure that our next design solution is moving up the success prediction? To achieve this, we need to bring thought process to integrate UX design with overall organization’s strategy, to win business and end user objective. In this high energy workshop, Hitesh Ruwala will share some of the example of user experience strategy integration with business priorities by introducing basics of business models, UX strategy alignment and how to present to executives, to top and bottom line growth. 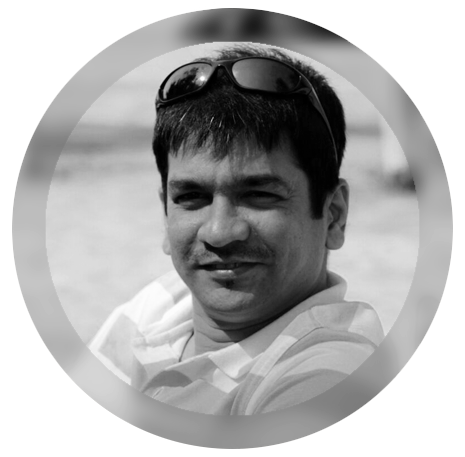 Atul is a Design strategist who has designed variety of products, Physical and virtual. He has built, mentored & managed design teams in his over 20 years of work experience. 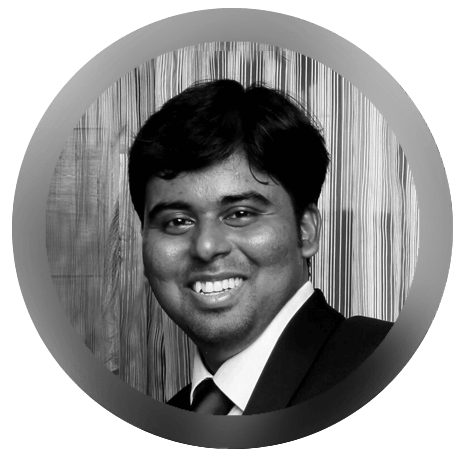 He is presently managing the UX team at Informatica Bangalore. He is a believer of involving users through the design process to create delightful products that claim success in the market. He likes experimenting with innovation tools, and practice design thinking in order to deliver higher value to the customers. 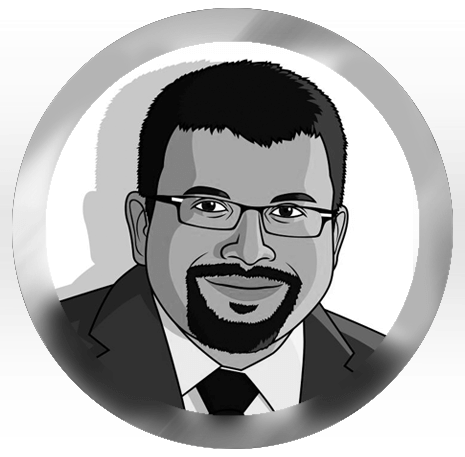 Today’s design solutions would be more of systems solutions rather than standalone products, Atul with his wide experience across design fields brings innovative solutions. He has organized and conducted various innovative design workshops, UX trainings and was part of various conferences. This workshop introduces the participants to following themes. How creative designers could contribute to data driven value. Participants would be working on a small hands on exercise related to data. To be the best UX professional we can be, we need to work on big, meaningful problems. Creating technology to fit well and empower rural Indian village women is one of the biggest and most meaningful challenges there is. This talk describes key aspects of UX work for women's empowerment, and how - when approaches in the right spirit - it can sky rocket your ability as a UX professional. 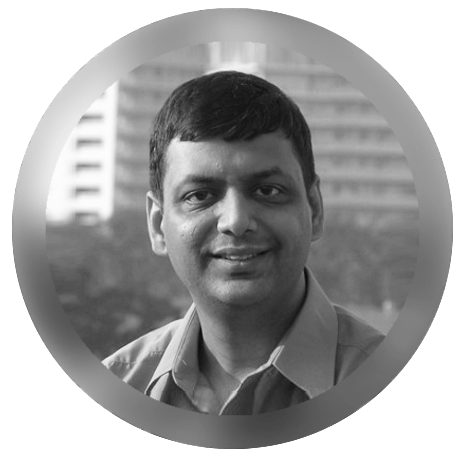 Satish Patil is the Chief Designer at Tata Elxsi. 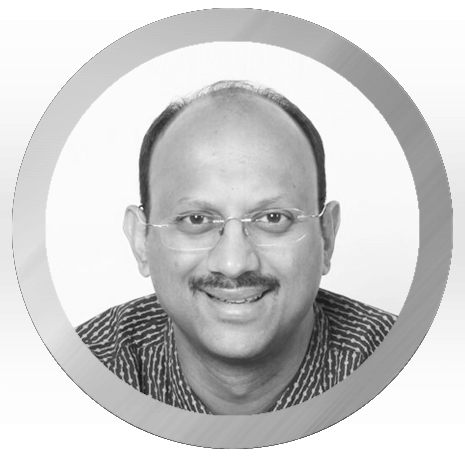 In his current role he spearheads the User experience domain at Tata Elxsi. 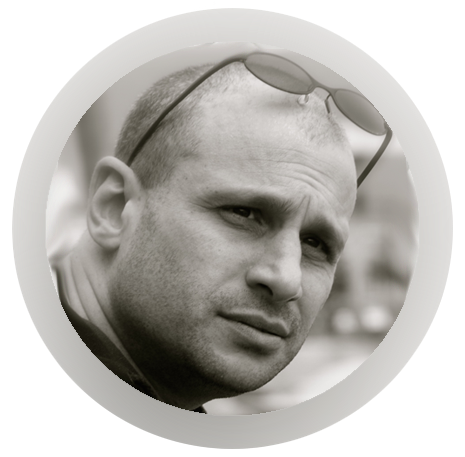 He is responsible for crafting consumer Insights and strategies for many global clients in technology and consumer domains for New Product Development, as well as develop UX Solutions across Entertainment / Media, Communication and Automotive platforms. 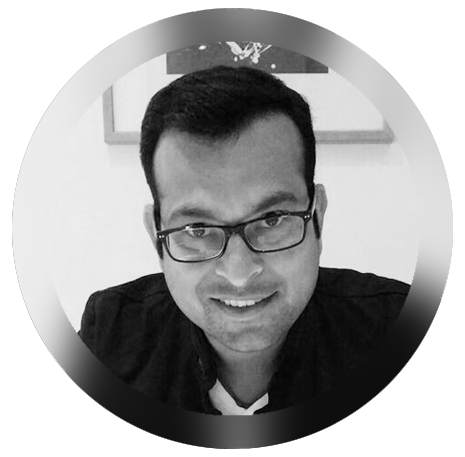 Satish has over 16 years of experience in Creative Design and during his tenure; he has worked across multiple domains including Consumer Electronics, Automotive, Healthcare to FMCG. He holds a Masters in Design (M.DES.) degree from IIT – Mumbai and a B.E. degree in Mechanical Engineering. Consumers today are surrounded by digital world around them. In any typical day user would experience numerous interfaces without even realizing, be it the Microwave they would use at kitchen or TV in living room, checking BP at home, using camera outdoors or just the panel in Elevator at office. Users consume technology through hundreds of these products in their daily lives. It’s our responsibility as UX Designers to build humane experiences for these ubiquitous products. Unlike the specialized applications we design otherwise, these products are meant to be used by one and all, They are used in various conditions, involve different form factors, I/Os and countless unique usecases. Also unlike designing for Web, Mobile or PCs the design considerations for designing these experiences are vastly different due based on the form factors, technologies used, computing power available and method of accessing these interfaces. This talks aims to unravel the nitty-gritties of using these interfaces, parameters and key drivers for designing these effectively, and also the latest trends governing these. Gayna loves people, tools and environments and seeing how their interactions unfold. And she loves growing the careers of women. After almost 20 years of industry experience her curiosity about how these elements combine has not yet been satisfied. Gayna thrived at Microsoft where she became a Director of UX managing teams of researchers, designers, developers, planners, and data miners. 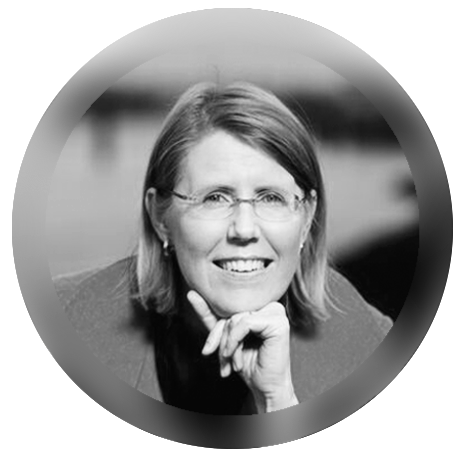 She was known for inventing unique research approaches, pioneering the use of ethnography and instrumentation in engineering teams, defining the art of UX team brand management to enhance successful outcomes, and intentionally creating diverse teams to deliver results. In 2011 she ventured into consulting and established Swash Consulting where she gets to apply her skills to creating Positive People Experience leveraging her UX experience and also her background in ergonomics and human factors. She enjoys the diversity of working on a broad range of experiences including workplace design, organizational design, and on technology solutions to address PTSD. Her second business is If She Can I Can where she offers career and leadership coaching to women – this is a personal passion of hers to contribute to improving the representation of women in leadership roles. Can an engineering team that is 80% male successfully design a product for an audience that is 50% female? This was a question Gayna Williams posed to men and women working in software. The women responded 'Definitely not' and the men responded 'I'd never thought about it, but now you've asked probably not'. First the research unpacked how personal opinion is brought into the work place and influences business decisions. Both genders confessed to using personal opinion; however it was discovered that women rarely raised a feminine opinion. Companies need to enable women to find their complete voice. Processes in the product cycle should be modified to balance unintended gender bias. The speed at which products and services are roaring successes or rejected failures is faster than ever. No company can afford to accidentally not appeal to the female customer base - so it’s time for companies to open their eyes and take action on this. 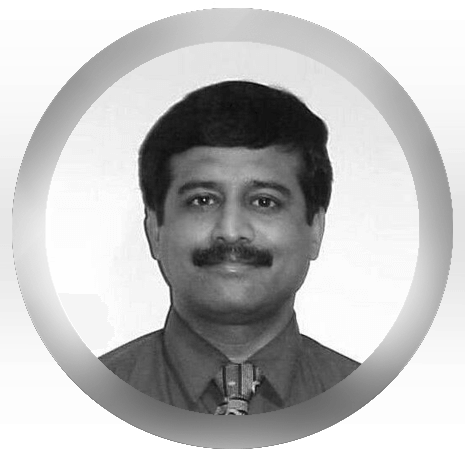 Bapu Kaladhar is a Strategic Design Thinker and Information Architect. He is most interested in incubating new business models that deliver social impact, that are environmental friendly and that drive economic growth while strengthening the ‘Good Design for Better Living’ value proposition. He has established a reputation for building innovative, easy and pleasurable to use products and applications for Goldman Sachs, Met Life, Fannie Mae, Fidelity, Microsoft, Sapient, Cordys, BaaN and numerous startups. He is one of the very firsts to bring User Experience Design to India. His relentless commitment to social impact has led him to contribute to several non- profit boards.He founded UXINDIA and UsabilityMatters.Org (UMO) – a not for profit organization to create design awareness and make a positive difference in how we educate our next generation through strategic, technological and sustainable innovations. He always believes that spreading awareness is the best form of education. Programs like Industry + Academia Fusion, UX Clinic, UX Talent Fair, Instill Design - Design Education for a Social Change, TechEase, iINNOVATE, Boycott Bad Designs and World Usability Day have been the most participated and appreciated initiatives. He graduated from the prestigious Pratt Institute, New York in Design Management and from the Industrial Design Center, Indian Institute of Technology Bombay(IITB) in Design . Global Design Head- Techved Consulting India Pvt. 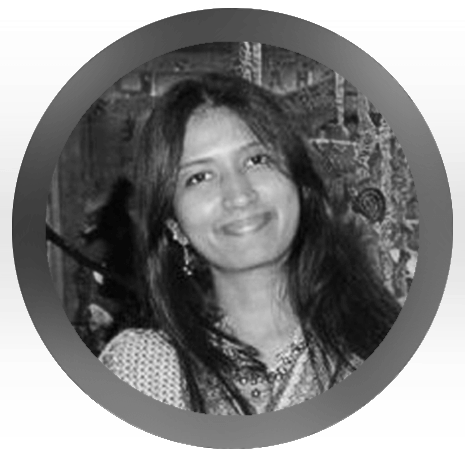 Ltd.
Neha Modgil is a renowned name in the usability & user research domain in India. She is among the few women entrepreneurs, who understood the upcoming demand of usability in India and took her career towards user centered projects and educated her clients the difference between a website design & a user-centered website design. Neha began her venture in 2007 with a small group of design professionals to provide website solutions, however with a sudden boom in the demand for internet & smart phones, Neha then decided to provide complete solutions to her clients and included software, mobile app designing & digital marketing solutions. Neha rose from being a Consultant to an owner of a start-up company of the few people to an entrepreneur of a company with strength of 100 employees. Back in 2009, when digitalization in India was still in its infancy, imagining a company with only UX as its offering was considered not just a joke but also non sustainable. Neha with her true passion for design and vision for success overcame all & established a global quality brand, Techved Consulting. Today it serves clients all across the globe. Know all the up’s and downs of her journey and what it takes to sell design to a design nascent market. Technology world is rapidly changing and so are challenges faced by a UX designer. Let's understand what lies ahead of us and how to design for it. 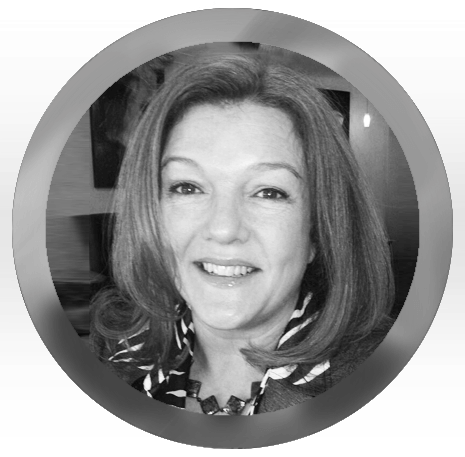 Sally is Chief Design Officer at 4 Inc. She brings 20 years of user experience and design skill helping global companies develop outstanding customer experience designs. Prior to 7, Sally was Senior Director of Product Design at Yahoo! She began her work at Apple’s Advanced Technology Group. Sally has an MA in Computer Related Design from the Royal College of Art and was awarded Fellowship of the Royal Society of Arts in 1992. "Top 10 strategies for building a global UX design team" examines the context we design and delivery customer service products and solutions today at 7 Inc. It explores the challenges we face as design leaders in the industry, and the strategies employed for getting a User Experience Design team up and running successfully in Bangalore, Silicon Valley and the Philippines over the past 3 years. You will learn the benefits of how agile, user centered design methods are at the core of our work practice; how balanced teams are more successful; the value of having both quantitatively and qualitatively data driven design; what it takes to work across the business innovation continuum; why its important to get out of the office and the benefits of being able to optimize designs experience for the present and design for the future at the same time. Sally Grisedale, is Chief Design Officer and reports directly to the CEO of 7 PV Kannan. We place a premium on customer experience, and make it simple for consumers to connect with companies to get things done. 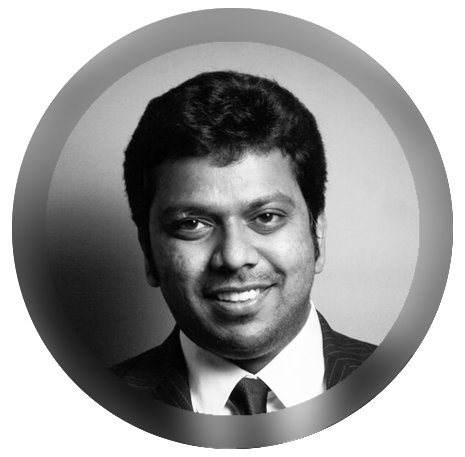 UX INDIA & Citrix Systems Inc.
Mr. Duriseti is a customer experience manager at Citrix Systems Inc. He's worked with enterprises, online start-ups, and non-profit organizations across various industries to help them grow by adapting to the changing needs and behaviors of users. He is passionate about creating consumer experiences for technology driven products and services. 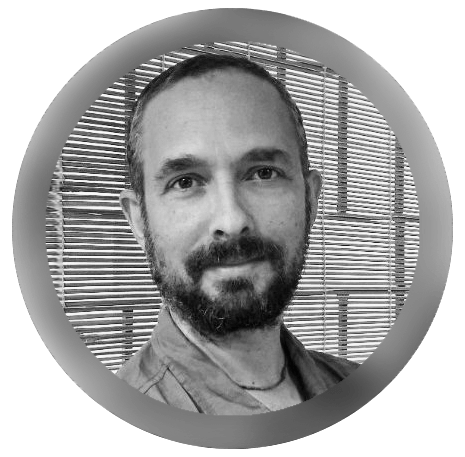 He has master’s degree in Visual Communication Design from the Industrial Design Center, IIT Bombay and is also a graduate of Interaction Design from Interaction Design Institute Ivrea, Italy. His commitment to drive design awareness and education in India for sustained social impact and business development has led to cofounding the platform UX India and launching host of programs like Instill Design, iINNOVATE, TechEase, and Industry + Academia Fusion. He has co-authored 'Expanding User Experience in India' an invited article by UXPA. A great first time experience can go a long way in converting prospects into loyal customers and there after advocates. As kids we all wished for an extra chance to bat when we got out early while playing Cricket. We all sample sweets before buying them. The idea of trying before buying is an intrinsic consumer behavior. In this brief session on Business of Design, I will be sharing my experience in designing effective and impactful product trial experiences. Mobility and cloud has made it easy for consumers to try out products and services before they decide to invest time and money in either buying or subscribing over the long term. Designing first time experiences, also known as on-boarding for services or trial for products is a critical phase in the customer journey for CX design to focus on in creating long lasting impact and there by converting loyal customers to brand advocates. 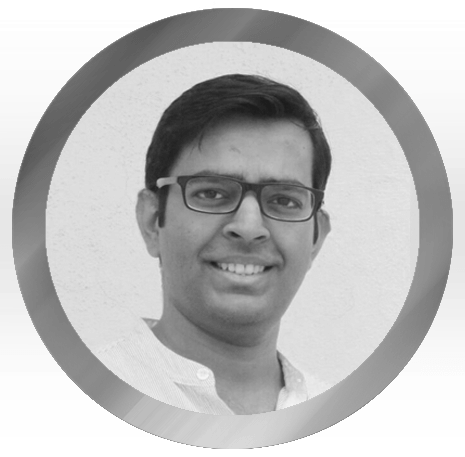 Ranjeet Tayi is a passionate product User Experience designer & design thinker with over 13 years of experience designing world class UX for large scale data products with user centric approach. Most products which he designed ranked top in category by Gartner, Forrester & other Analyst firms. Currently he leads the UX Team for Informatica’s data security products and recently designed UX for the world's first data security intelligence product. He started his career as design entrepreneur, co-founded Mind Visions (a leading VFX company) and later worked with companies like SumTotal, Cognizant & Pure IT Usability Research. His commitment to drive social impact through design thinking, photography & sharing ideas has led him to contribute to several nonprofit boards and also co-founded Ignite - Hyderabad. 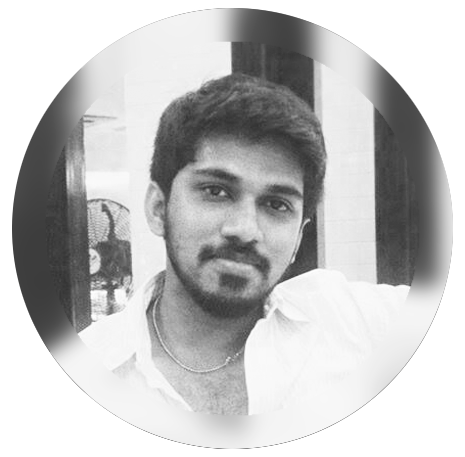 He is one of the core team members for UX India & Usability Matters.Org, a platform to build & sustain the implementation of design thinking for social change. Ranjeet holds a research master's degree of philosophy (M.Phil) in Mass Communication; master’s degree of arts in Advertising and Advanced diploma in Multimedia. Rama Krishna Kuppa, Founder / CEO for CreativeXperts. Actively involved in bringing world class products like Norton Ghost, Norton Save and restore, and Q-series of Motorola live. Bagged experience in mobilizing large scale enterprise systems, worked for leading multi-nationals like Symantec, Motorola and Hitachi. With passion to bring Enterprise mobility to Small and medium businesses Rama Kuppa formed CreativeXperts in 2009, and created a platform ”StoreONGO" that helps create mobile presence for any business without any technical knowledge and in less time. Business tools can be extremely complex. We aspire to put powerful technology and useful insights into people’s hands, but finding the right balance between simplifying it and giving access to innovative, advanced functionality can be difficult. In the consumer space, we strive to reduce the design to the simplest form possible, eliminating complexity at every turn, often focusing people on a single path and call to action. In business, however, we’re designing for a population with sometimes radically different levels of expertise. The persistent challenge we face is to figure out how to take all of that advanced technology and make it accessible to people who aren’t necessarily experts, while also provide providing experts with access to the advanced features and functionality that they want and need to do their work. Business workflows and technologies have inherent complexities that must be understood and respected, and yet everyone benefits from the elimination of unnecessary complexity. 22yrs old visual + interface Designer and Social Innovator passionate about UX research and more so about design thinking approach. I am currently working as a summer Research Fellow at The Hebrew University of Jerusalem, Israel in Trans-Disciplinary innovation program. My name means "evergreen" and everyday I strive to live upto it. I love spending my time daydreaming and researching about new possibilities on cutting edge projects where design and technology meets together with the essence of storytelling. Over the years, visual communication design has remained a constant as my understanding of it's reach across products, services and systems evolved. I design because I care about people, mundane routines and the world we live in. I’m interested in exploring the identity of ‘things’ in our day to day and the diversity of interactions in different cultural contexts. I have been featured twice by Deccan Chronicle, Bengaluru edition for my works. Got featured on Kyoorius as their "artist of the month" . Cupick featured my works in the "Emerging Visual Artists, Designers from Bangalore, India." Jamshedpur Women's College's FAB tabloid featured me as the "RISING STAR" (art and design field). I believe in "People create better things together." What is the point of pursuing design and trans-disciplinary innovation if not finding purpose in a grander vision? I have come to the conclusion that Human Centred Innovation (HCI) and Innovation design should not just be about self-gain but instead, a crucial tool that can be used to make a personal impact in lives in tangible ways. Design that has to tell a story or a message to spread, design that is used to and closure or gain understanding through any form of therapy, design that is used to educate individuals and their voice to express themselves. That is ideal, the noble, and the self less art that I hope to achieve in this brief life. There is great opportunity to bring “design in everyday life" to underprivileged children and the whole society by working with a well-funded art and design institution with values in community outreach programs. Such children who might think that design and innovation could never be a part of their lives, has been my target group ever since teaching became a real choice for me. And with a proper education, I am confident that I would be able to make a real difference in someone’s life. 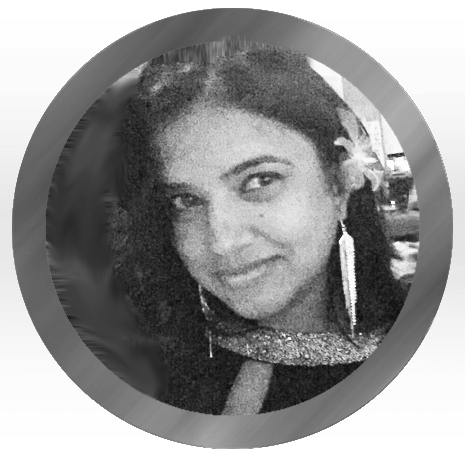 Anubhuti Jain is currently leading the mobile charter for seller design at Flipkart. A senior UX Designer, she has worked on both seller and consumer facing products at Flipkart in her one year stint so far. Prior to Flipkart, she was helping make meaningful solutions at Groupon, USA. She has a masters in design from Carnegie Mellon University, USA. Empathy and UX can go a long way in building team culture and increase productivity. In this talk, I will discuss about empathy and its correlation with UX, draw design parallel between UX principles that can apply to building team culture and the importance of the same. Currently working with Adobe Systems. An Invited Expert at W3C(World Wide Web Consortium) in HTML Working Group. Passionate about User experience design, Human Computer interaction and Photography. As per Harris Interactive(World’s leading user research firm), if the mobile app is not useful, about 69% of people have negative perception over the brand; 32% of these app users pass on their bad experience; and about 13% avoid downloading it due to previous bad experience.UX plays a crucial role in determining the brand value of a company. Days back, Companies built their presence in mobile either by web-apps or native apps.Webapps are de-limited by hardware access and less scope for user experience, whereas building native requires more cost, skillset and time. A company named Nitobi, addressed this issue by building an experience which combines best of both worlds and enabled developers to build cross platform applications using web technologies. Hybrid apps fulfilled the every developer dream of “Build once-run anywhere”.With the increase in the capabilities of HTML5 and open web, Hybrid apps have pushed its limits to the next level. Currently about 25% of apps in Appstore are hybrid and its expected to reach 38% in couple of years. This talk will cover the aspects of building experience for hybrid apps from a designer point of view. Catch me at UXIndia15 - Rise of the Planet of Hybrid Apps. Dhaval is founder of Abir, A Business Design Consultancy based in Ahmedabad, India (www.abirdesign.co). An Experience Strategist, and a Creative Systems Designer, he has the right mix of analytical reasoning, critical design thinking and business management skills. He also has 13+ years of experience as a technology professional designing and delivering complex systems software in Silicon Valley. His MBA in Design Strategy from California College of Arts, San Francisco and MS in Computer Science from University of Southern California, Los Angeles puts him at the unique intersection of business, design and technology. This broad perspective and experience gives Dhaval the necessary tools to guide businesses on how to empathize with customers and deliver meaningful experiences. People dont just buy products or services, but they seek meaningful experiences. It is indisputable that we are in an experience economy. An experience need not be only functional (ease of use of a product or service), or emotional (delightful). But it should evoke a meaning in customer's life. A business that is designed to connect with its customers at the most stable core meanings level is more likely to succeed in creating a loyal customer base. This talk will explain what is a core meaning, why they are so important to connect with customers, and why a business should be in the business of evoking meaningful experiences in their customers' lives. Jefferson is a Consulting leader at Cognizant Technology Solutions. He specialises in Digital Strategy and Design. He is widely travelled and has vast experience in consulting global Clients. His interest lies in Business design which he actively pursues and practices in his consulting engagements. He strongly advocates Design thinking which can be applied to various disciplines in effectively producing great Strategies including Governmental and Inter-governmental policies. Digital Strategy is an outcome of combining different disciplines. It could be Design, Marketing, Process , technology and others. How do you manage to bring the right strategy and how do you communicate business value to your stakeholders is anyone's challenge. Design thinking can be used effectively in such scenarios to build value propositions and collaboration techniques to bring out top class digital strategy. In the current world scenario we find the collision of business and technology streams. Increasingly the business teams in large enterprises are getting involved in the Digital business and vigorously participate in building of digital strategies. What has been largely technical domain now runs as business domain. Different teams are now involved and getting interested in building a cohesive and meaningful digital strategy. There is a definite competitive aspect to it as increasingly large enterprises are forced to look digital. Almost all domains such as banking and finance, retail, insurance, Information and Media are focusing their budgets and efforts on building a sustainable digital presence. Multi-disciplinary approach is needed to build such enduring digital strategy. Business design thinking plays important role in bringing together the various disciplines and produce value out of the proceedings. The design thinking workshops played major role in the author consulting engagements in bringing together sustainable digital and design strategies. The focus components of Business, process, technology and users/customers are effectively analysed to produce effective strategy. Concepts are derived through conceptualization techniques and rapid prototyping to bring clarity to the business stakeholders who are across the globe. It is important to bring the Outcome factor to the business while deriving such strategies. Effective measures such as user productivity, branding, customer experience indices and other such measures are needed to bring out winning digital strategies. Design thinking plays a major role is holistically bringing a solutions to such challenges and the outcome is well appreciated by the stakeholders including the business and technology communities within the large enterprises. A versatile UX designer and an artist by heart who believe in philosophy 'Simple is Beautiful' , which helps me in simplifying complexities in design. In my total IT career I have juggled between multiple roles. Starting my career as a QA Analyst I discovered my passion for design and moved to UX field. Current role and responsibility is of UX consultant with Umber Learning Facility, Pune. Right now I am also exploring the field of training by mentoring startups and freshers. I am also Founder/Designer of creative group called 'Creative Doodle' in Pune which works with a vision to encourage and sensitize creativity and design in all ages. Designing experiences for children while designing any interface is a unique and challenging situation for all UX professionals. It's not just a matter of good intuitive and simple interface - but it require us to consider many consideration as per the age group, interaction models and child's perspective. In my short talk I am going to explain mainly how kids are different, what are the key considerations we have to keep in mind while designing UX for children and is there any child centered design process. 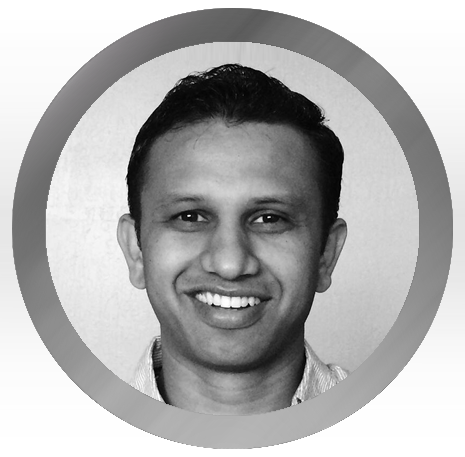 Naveen is Head of User Experience at KeyPoint Technologies. Previously, he was a design manager at Microsoft where he worked on various products including Bing.com, Cortana, Skype & Dynamics CRM. 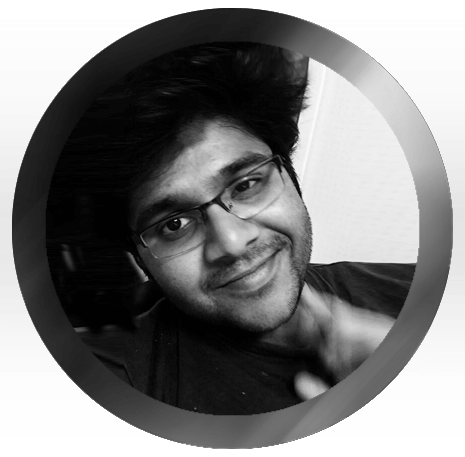 Naveen is a designer by heart with passion for starting and building design teams and developing talented designers and researchers. Good design makes us feel. We know good design when we see it and we’ve all seen great design concept get whittled down and diluted through multiple review cycles and the development process. Companies who maintain the essence of what makes a concept great is hard and it requires dogged persistence and dedication to the design. It’s no secret among designers that if you create an experience that connects with users on an emotional level, you’ve succeeded. Why is it important to make an emotional connection? How do we keep product soul intact during the design process? What are the principles to bring magic & meaning in our products? 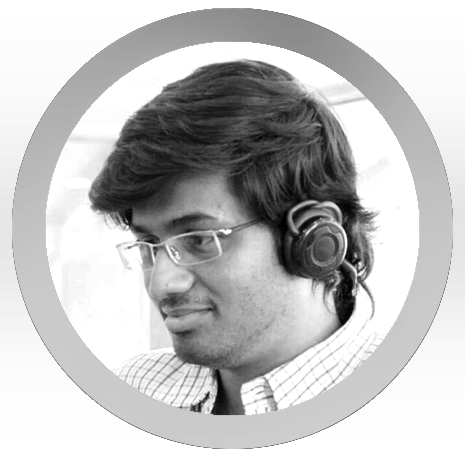 Prashanth works as a User Experience Designer for iNautix Technologies - Bank of New York Mellon’s Technical Operations and Development Center. He holds more than three years of professional experience in Design technologies with great passion for UX Design, Usability testing and User research. 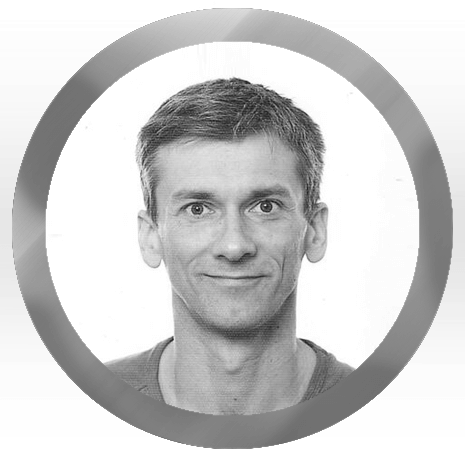 His contribution to the team includes comprehending the requirements, designing and delivering high quality experience for both online and offline world. 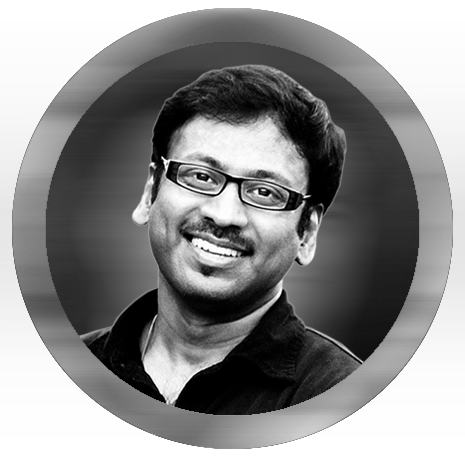 With his expertise in Design Process, he provides interactive prototypes for Desktops, Mobiles and Wearable Technologies. He is proficient in analyzing the application or product requirements and user personas; designing user interfaces from scratch; creating High and Low fidelity prototypes that conveys design and interactions to the Business and Technology; Redesigning user interfaces to improve productivity, user performance and addressing design problems; Conducting usability tests, analyzing the results to benchmark the UI and arrives at possible recommendations. He also has excellence in design tools like Axure, Balsamiq, Invision, UXPin, JustInMind, MockingBird etc. 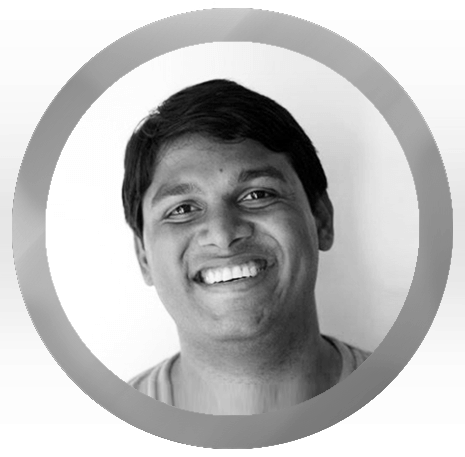 Prashanth holds a Bachelor’s Degree in Information Technology and apart from relishing as a designer he is also an avid Technophile, Blogger and a Socializer. Unarguably the biggest driver of productivity and growth in the next decade, the Internet of Things will accelerate the reinvention of sectors that account for almost twothirds of world output. With the technology that is believed to produce an economic gain of US$14.2 Trillion in the next decade, are we just using it to control the room temperature and record our favorite TV shows? Or are we heading beyond the abilities of just monitoring your home appliances? When small startups could easily leverage IoT into their business model, how did a 230 year old large financial firm in the world managing assets approximately $1.7Trillion, build the “Internet of Business Things” architecture and improved the experience of customers and employees just by connecting phones and lights? How did the UX connect the dots to boost their revenue and transform the workforce? How did we connect more and got better? Adi Veerubhotla is a Design Lead at IBM Watson Design. She works on cognitive computing and information exploration. In the past, she’s worked in the search and big data space. She started out on the more technical side of software, having worked in various roles as a developer, data analyst and an applications engineer, and eventually moved into the world of user experience with the goal of making software more effective for people who use it. She holds an M.S in Human Computer Interaction from Carnegie Mellon University, and hopes to spread the joy of good design around some more to make this digital world a better place. This session will look at the value of design thinking by using concepts from the IBM Design Thinking framework - hills, sponsor users and playbacks - and call out key actions required for adopting design thinking as a way of work - viz., collaboration, alignment and focus within the team. I will also share from experience what role a designer can play in guiding a balanced product team through this way of working, by adopting concepts from lean UX. Rashmi Sethi is a seasoned professional with 18+ years of experience across various leadership roles within Business and Technology (strategy & execution). Her overall experience spans across Research & User Experience Design, Global Product-Delivery Management. A strategic thinker with can-do attitude. She has this unique ability to strike perfect balance between the right-left brain; between creativity-strategy! 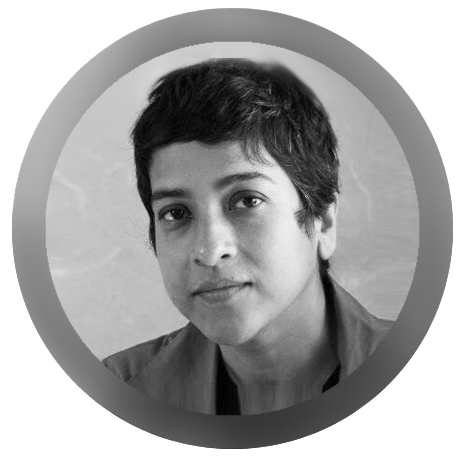 Currently, Rashmi is Associate Creative Director with Sapient Nitro. 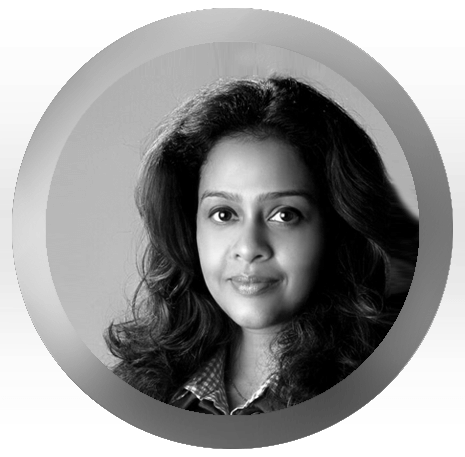 Prior to this, she has extensively worked on new-product launches (concept-till-go live) in Enterprise and Consumer space and omni-channel business applications with global companies like Fair Isaac (FICO), SAP Labs, Tech Mahindra, ANZ IT etc. 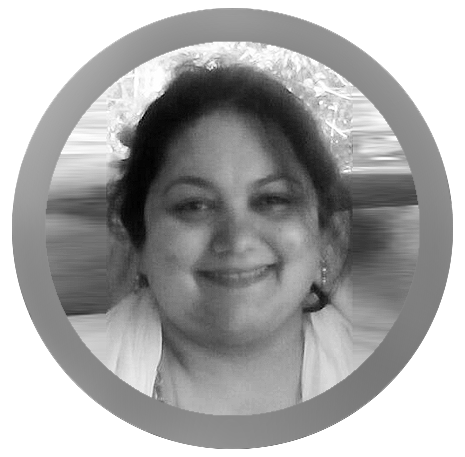 She is well travelled and has vast experience with multi-cultural teams and users' across diverse geographies - Asia- Pacific, USA, and Europe. Her interest lies in innovation in products & services in emerging markets, enhancing customer experience, phy-gital space. Difference between Customer Experience v/s User Experience. Designing your Customer Experience Strategy. Illustrate by citing examples on what is Customer Experience versus User Experience. Talk about why Customer Experience is a key differentiator in today’s environment and how to design a Customer Experience Strategy. Basically, a holistic approach, that focuses on designing for ‘cumulative’ experiences across all-channels and multiple touch-points that a consumer will have with your brand over a period of time. After doing BTech and MDes from IIT Bombay, started career with Godrej designing fonts and keyboards for Unix terminals. From there was involved in various organisations designing solutions for desktop publishing systems to enterprise web applications to mobility solutions today. Was a director at software ‘Summit Information Technology’ for a long time, working in news media segment and later was with ‘Process Nine Technologies’ a start-up working in Indian language domain. Software designed by him on news, advertisement and content management are being used by publishers like Times of India, Amar Ujala, Dinamalar, Dawn in Karachi, Daily News in Bangkok, and by many in Sri Lanka and GCC countries. Today works for ‘Avahan Innovations’ in Gurgaon – an Ideal job where he normally idles ideating. As we cross one threshold after another in mobile and internet penetration, we need to confront with the requirement of making our products usable for the larger Indian audience which prefer the local language. Biggest bottleneck is our own conviction or lack of research in user studies. As a result one sees very few products designed with local languages in mind. At the most there are cases of retrofitting localisation onto products originally designed and tested with English use cases. Few years back it was difficult to find supporting platforms; today most O/S on desktop and mobile have out of the box support for most Indian languages. So today font is not a problem anymore. So what are the problems that we need to prepare ourselves with when we design for multiple scripts? How does one get the content in the required languages? The answers are mostly straight forward. This talk aims to present all related issues and solutions in a short package. Vandana leads 7’s India Design Studio. She works with the Digital products teams on 7 Chat products and Service Delivery to roll out advanced user experiences in client applications. UX Lead, Principal Architect at Cognizant Digital Engagement Practice. 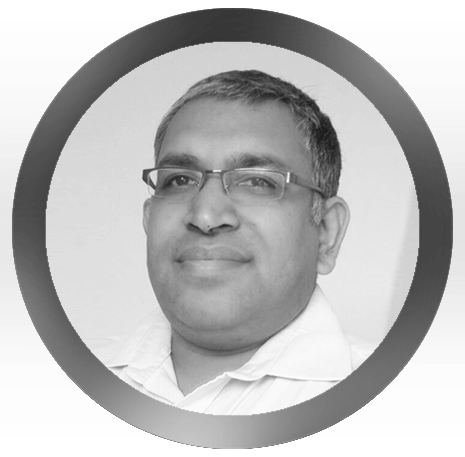 Narender has 18+ years of experience in design with an ability to envision enterprise products and customer requirements. His core skills include driving the business, design analyze and strategy planning following the UCD process. He is solution oriented, customer focused and forward thinker. He successfully completed design/deploy enterprise products in web/mobil platforms for fortune 500 global clients. He is a social mover in UX community and an active organizing member in various design events, international conferences and client workshops. 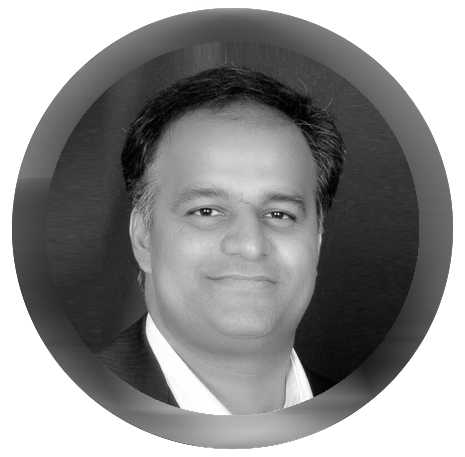 Girish has 25 years of experience in user, business, design led innovation, new product & business development, and product internationalization & localisation. 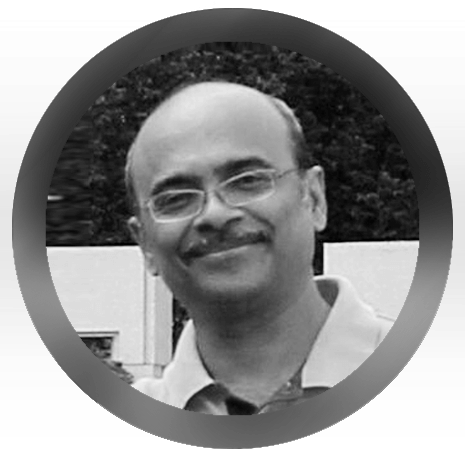 Girish has published referred papers in international journals, holds 16 U.S. patents and is an invited speaker at both national and international conferences. He is a member of PDMA, ISPIM and ACM-SIGCHI. He holds a Ph.D. and M.S. in Industrial Engineering (Human Factors) from the State University of New York at Buffalo and a B.E. in Mechanical Engineering from National Institute of Engineering, Mysore.He is interested in innovating for emerging markets & usages, and product & service localisation. 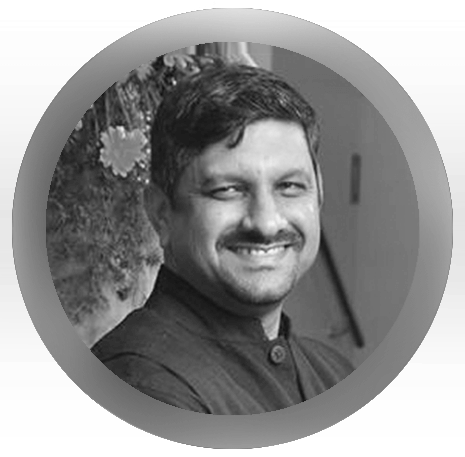 Dr. Girish Prabhu is currently the Director of Srishti Labs, a centre for Human Centered Innovation and Experience Design at Srishti Institute of Art, Design & Technology. He is also the Dean of Srishti's School of Design, Business & Technology. Prior to this assignment, he has held various management positions in new business development, research, and product commercialization at Eastman Kodak, HP, and Intel and was instrumental in implementing human-centered design and innovation processes in multiple product areas. This will have major implication for design and innovation. Do we have the right tools and processes to create UX for this future? Will the current user-centred design methods allow us all to create break through UX? The speaker through his experience and research will touch upon frameworks that may be needed for designers to be prepared to design for this future. 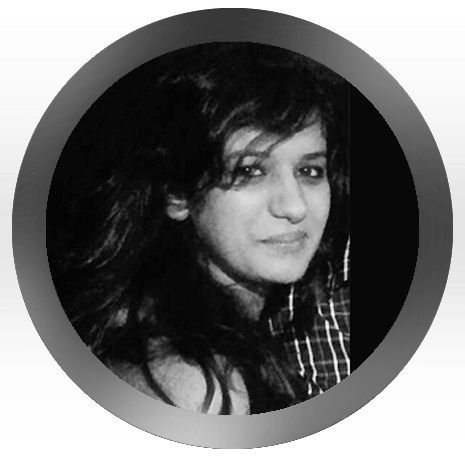 Priyanka is a digital strategist and co-owner at Fractalink design studio pvt. Ltd with 14 years experience in the field of design. She has been instrumental in converting chaos into organised data and impossible requirements and briefs into meaningful user journeys for her clientele and delight for the users. Priyanka started her career as an Architect and went on to pursue her love for UX and UI by acquiring a master's degree in Graphic Design from Middlesex University in London. Post her graduation She joined one of the leading agencies DMGT (Daily Mail and General Trust) in London as a UX and UI designer. With a strong motivation to bring about a change in the field of UX and UI design and help propagate the role of user experience in the Digital Design domain in India, She returned to India to start her own start-up. Since then, she has been instrumental in shaping up some of the biggest brand in India and helped them create delightful experiences on various digital platforms, which includes Andriod, Windows 8, iOS and web. She has also been closely working with Samsung and Microsoft to shape some of their initiatives in their respective platforms. 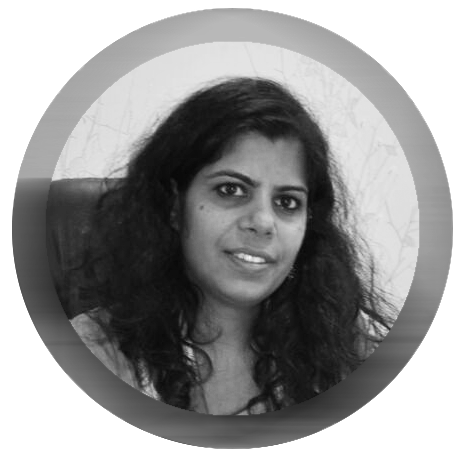 With close to around 4 years now in India she has helped companies across various verticals which include BFSI, Data Analytics, Entertainment, e-commerce to come on board. With the experience that she has gathered during her journey, she conducts UX workshops across India as a way of giving back to the community. she have been an active mentor on several start-up communities like iAccelerator (IIM Ahemdabad), IQ bootcamp (Mumbai), TiE (Mumbai). Her objective is to instill the idea of, how good UX marks the base of a good digital product among young start-up communities. In her own small way she wants to bring about a change in the social structure of India and the perception of women and the do's and don'ts associated with them. I believe and thrive on the philosophy of 'Be the change you want to see'. Brands have changed meaning over the years. From being aspirational they have become experiential. They no longer are built on legacy, but are built on how effectively and meaningfully you intervene peoples lives. And once you establish a meaningful place in their lives they cease to exist as brand names but become a part of your vocabulary. The key is to establish that meaningful connection or need in people’s lives which can be weaved into their life story. The talk will throw light upon how storytelling is key to designing great experiences for digital products. On the canvas of digital, Sudhindra crafts positive experiences to people armed with insights, empathy and behavioral understanding. As an Experience Strategist, he helps craft vision for partners to see their worlds in action. As a Design Leader, he designs environments conducive to creating meaningful, game changing and award winning designs. In the field for over 17 years, he has been recognized for his work through awards including Most Innovative Product award by NIA in Singapore, a Blue Elephant at Kyoorius, category best in Interactive Media Awards and Internet Advertising Awards. He is an advocate of Emotional Design and is passionate about holistic experiences and elevating business conversations through the power of design. His interests include designing digital environments that shape behavior and habits and that enhance the quality of everyday life. 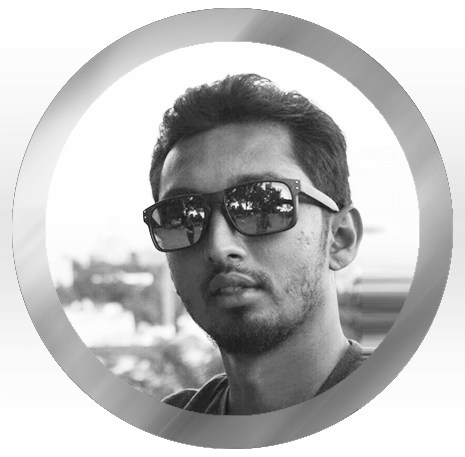 He is an active Interaction Design Association (IxDA) volunteer and was till recently the Regional Co-ordinator for IxDA Asia. 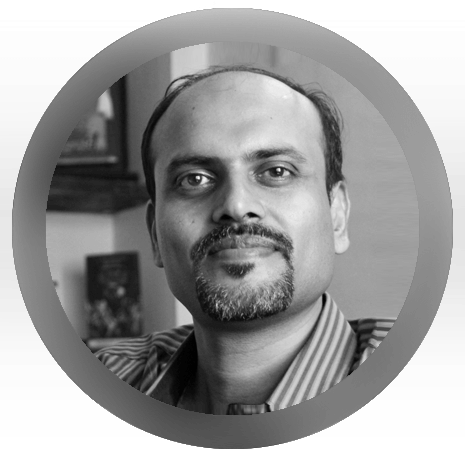 He is an avid writer and has been published in mainstream publications such as Business Standard, Business World, Dataquest and Exchange4Media and speaks at various conferences on Experience Design topics. Interaction Design is increasingly used in Digital marketing and in effect in the overall marketing strategy of all organizations. Essentially, it means where design was employed towards efficiency to a large extent, we are now looking at revenue generation, expansion and the very foundations for the organizations and most importantly in connecting with their consumers. Organizations have traditionally used the medium of communication to communicate their brand essence & values. Marketing has spear headed this notion and has largely employed clever creative and visual mediums to tell the story of the brand through emotions. But what they often lack is the understanding of these emotions and employing them towards changing behavior through the medium of digital and interactive technology. That is where Design can unlock value and create truly meaningful experiences. And in effect, change the face of Marketing itself. Developer, Designer, Problem Solver. Making the world a better place, one pixel at a time. When not designing, making music. What makes some products tick, while others go bust. Let me take you on a journey with Bob, and explore the mysterious problems of a startup world. Deepa is a design and product leader who most recently worked at Intuit as the Director of Design and Product Management. 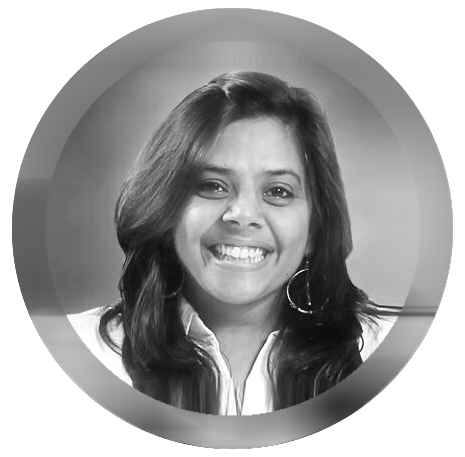 Deepa’s passion is to transform customers’ lives by creating products that solve their biggest unmet needs. Products that make the customers’ life better! She likes to play roles that allow her to create a positive and large impact on the employees of a company, its customers and its shareholders. 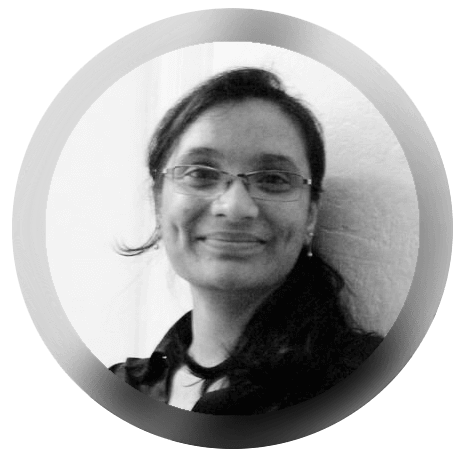 Deepa has 20 years of experience in the Tech industry where she has played a variety of roles across Product Development, Experience Design, Product Management and General Manager. Think of her as someone who loves to create products and developing people. Deepa’s experience has given her expertise in creating and taking global products for both emerging markets as well as developed markets across multiple domains – Operating Systems, Financial portals, Business and financial management solutions, Retail and Information services, across multiple platforms – Online, Desktop applications and mobile applications. 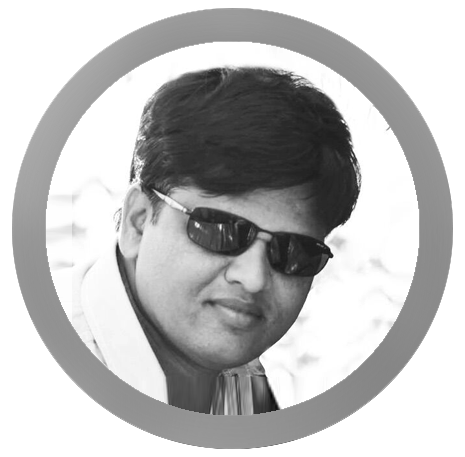 Balakrishna is a User Experience (UX) professional with 14 years combined experience in Visual Designing, UX Solution Architecting and Information Visualization; across various domain, technologies and devices. Balakrishna possess and practice User-Centred Design Process, Usability Principles and Information Visualization Techniques in a day-to-day engagements to create a holistic, end-to-end experience for fast, accurate and context driven information to the user. He has been exposed and involved in various activities like Understanding Requirements, Gathering Data, Analysing Data, Information-Interaction Designing and Usability Testing to transform business/user needs into effective and efficient products, which in return add value in providing engaging and delightful experience to the customer. In today’s world we see huge volume of data are getting generated every minute through multiple sources; such as Social networks, IOT, Sensory devices and so on. With the increase in volume of data, it is but imperative that the visualizations that are created using the data; needs to be intuitive, easy to understand, interpretable and actionable. This classic problem statement has raised bar for the designers to create meaningful data visualizations. These visualizations are not just visual representations, but tools using which an Analyst, a Business User or a Common man interprets information and derives insights. How do we begin with design for a complex visualization? My talk is aimed to answer these questions in a form of Ingredients and Recipe that are needed to create effective, meaningful and accurate Data Visualization. 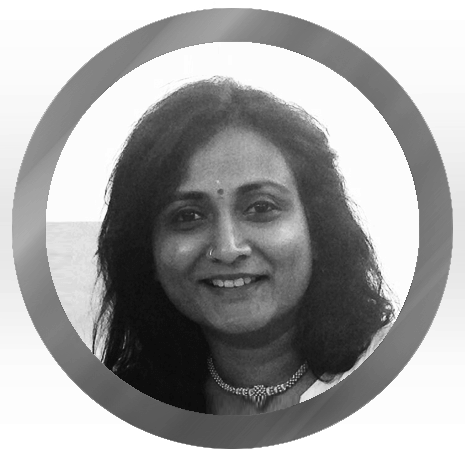 Sangeetha Jayaram is a consultant and a senior executive in Tata Consultancy Services. She has more than 15 years of industry experience that includes Project Management, Program Management, Delivery and Stake holder management. She is a BE in Information Science and Technology from Bangalore University, India. Develop, manage and institutionalize new practices and methods in the field of visualization and user assistance. One of the growing trends in the field of BI is the increasing acceptance and recognition of Visualization as a form of analytics. Considered as an interesting combination of multi-dimensional discipline of art, science and technology, viz derives its ability to communicate intuitive insights by leveraging human visual and cognitive abilities. Traditional reports and dashboards are replaced with interactive visualizations that are designed with a purpose. With the increase in applicability of visualization, comes the responsibility of designing it to meet its objective. Designing complex visualizations require a keen sense of understanding the viz’s core objectives, the dynamics of “when/what and where” questions being answered, the delicate balance between intuitiveness of the visualization and the visual appeal of the same. Imbalance in any one of the core parameters can lead to a visualization that is confusing, misleading and non-intepretable. As Designers, one can veer the visualization from going from clear to clutter, persuasive to ambiguous, straight forward to random, by following certain principles and best practices. Most importantly, Visual Designs drive the way Visualizations are consumed. By following these key practices, one can create aesthetically beautiful visualizations while not letting go of the objective, insight and purpose of the visualization. The publication has done 60 issues so far, 2 annuals, one online board an a award programme. has featured 500+ designers, most covers have been picked up by other publications and TV channels as creative news from India. Sudhir will talk about this journey of POOL Magazine, seeds for which got sowed in 2002 when he founded Designindia yahoo group. The Centre for Product Design and Manufacturing (CPDM) was established in 1998 to pursue excellence in teaching, research and industry interaction in the area of Design. The two-year M.Des programme is the flagship program of the Centre. The Centre is perhaps the only place in India pursuing an active research programme in Design spanning the broad areas of Design Theory and Methodology, Human Factors in Design, PLM and, Vehicle Design, Simulation and Testing. With work experience ranging over 20 years, starting with J. Walter Thomson as an Art Director, moving on to Publishing with the launch of “OVERDRIVE” and then Manager Graphic at Star News Corp. In my many roles have applied creative thinking to various industry sectors, enhancing my abilities as a Creative specialist. The last 10 years have been spent in providing online / branding services under the banner – ubcreative. As a mentor and guide to young designers – I play my role as Prof. Graphic Design at the prestigious MIT- Institute of Design - Pune. Design courses in India are very different in their pedagogy, approach and application as compared to the conventional professional courses. At MIT we create a breeding ground for future leaders and Design thinkers. I take courses which are multi-disciplinary and converge human values, technology and business management. In this context MIT Institute of Design, addresses the new and emerging socio-cultural and economic aspects. Understanding and creating quality life products for the national and global customer and generating a culture of innovation. The India Studio of Lécole de design Nantes Atlantique (LEDNA); one of the leading Design Schools in France, runs in academic collaboration with The Design Village, Noida. The school is set to provide international students a better wholesome learning experience of design in a developing nation like India. LEDNA is also incharge of the academic curriculum development for The Design Village, to set up bachelors and masters program in Design. As most women are embarrassed to ask for condoms considering the explicit graphic images on the existing packaging and its obvious implications. 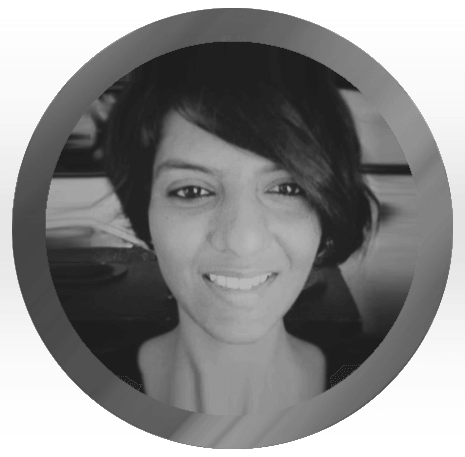 Sneha is a User Experience designer at YUJ Designs and responsible for driving customer projects independently. 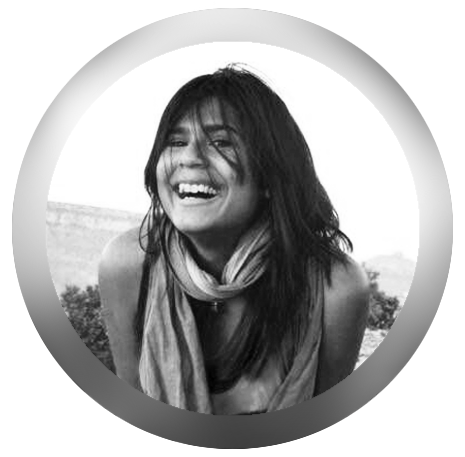 She is adept at creating, concept sketches, personas, scenarios and detailed wireframes. 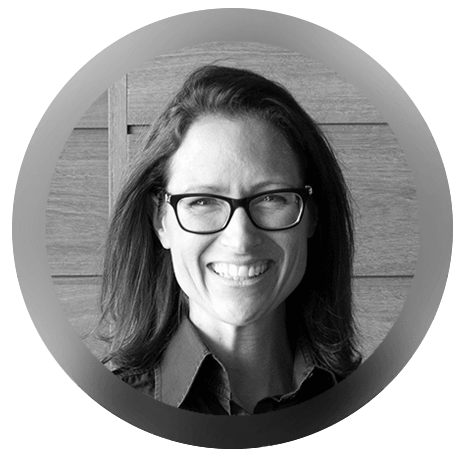 She works directly with client product managers and stakeholders throughout the design lifecycle. She has an innate liking for complicated products, across multiple domains and enjoys decoding the problems layer by layer - be it ecommerce, technology or banking. Sneha is objective about her designs. She says “Don’t fall in love with your own designs - look for what users have to say. The shapeup the designs”. 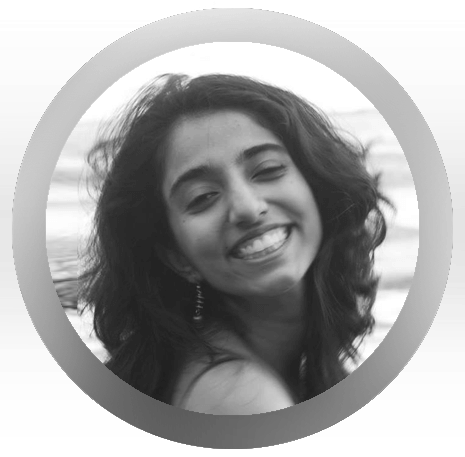 Through this talk Sneha would like to discuss and present her observations about design, women, work culture and whats best for the UX industry. Is design omnipresent arts or science with which women approach it? She will also touch what synergy works best for men and women at work to design more successful products for the users. BMW Pickup Truck :An emotional design presentation for artists who like live painting.Its a fusion of sporty look with a tough character of a pick-up. Nissan Concept for rural India: It is a practical design for business people who live in rural areas,who transport goods regularly.It is also for those people who run a public transport business like share auto. the limitations(according to the brief given)was that the concept had to be cheap and flexible in its purposes of use. Volkswagen traveller : This is completely a styling project. I Am Automotive design student who recently have got into UX/UI design.I will also be talking about my thought behind UX/UI design. I Will be presenting my personal weather application project which I was doing during my UX/UI training. Ripul is the Founder and Director of Research at Kern UX, a global design research and innovation consulting company. He consults with Fortune 500 corporations like Philips, Sony, Nokia, Microsoft, Google, Facebook, Siemens, Standard Chartered Bank, Lufthansa, eBay, Amex and others. Ripul sits on the governing board of International UX Partners, an alliance of 19 UX companies worldwide. He is passionate about building products that people love and use everyday. He has built award winning software products, banking products, and has patents in online gaming. Closely associated with startups, he mentors them while working with several Angels and Accelerators. Active Usability Testing was pioneered by Amberlight Partners, a UK based UX company. This new usability testing method ensures that the time taken to analyse the testing results is drastically shortened. In fact, by the time the field work is over, the analysis is over too! This workshop will NOT introduce Usability Testing in the lab, the participants are expected to have conducted some usability testing in a lab. The participants are also expected to have done some note taking too. In this hands on session, the participants will analyse a live usability testing session using the new technique. Founder & CEO of CollPoll, a communication and collaboration platform for learning environments. I love working at the intersection of technology and design. I have consulted Manipal Global and World Bank in past. Played an instrumental role in setting up Adianta School and Kairos Society India. When free, loves to write & read poems, cook and travel. 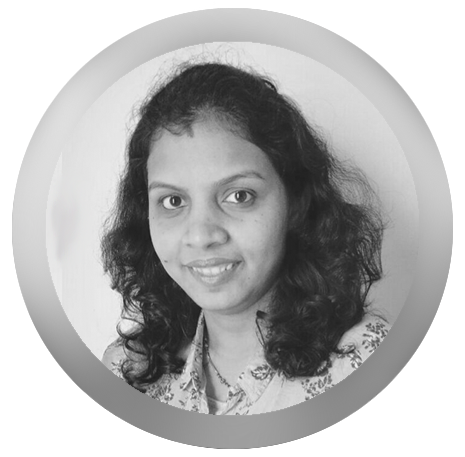 Sulekha Kuthiala is an interaction designer with over 13+ years experience in designing web, desktop and mobile applications. She is based in the Silicon Valley and has worked with some of the top companies like Intuit, Cisco, eBay, Oracle and Bank of America. She is a design thinking coach and employs Lean UX and rapid prototyping techniques to ship awesome products faster to the customers. She leads cross-functional teams in end to end design process including problem definition, customer insights, iterative design, prototyping and usability testing. Her area of interest lies in the intersection of technology and new learning models for students of all ages. She has conducted several community workshops such as ‘Family Innovation Day’ and ‘Product Design for Girls scouts. 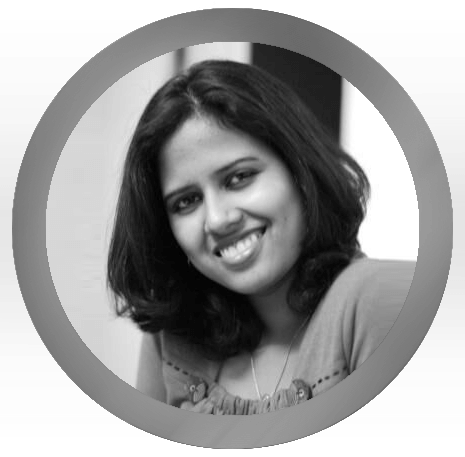 Garima is a design thinker, researcher and strategist with acute sensitivity towards business. She is passionate about creating impactful products and services, which people love to use and engage with. She likes to create synergy between different perspectives to derive meaningful insights, which help shape the strategy for disruption in the market. 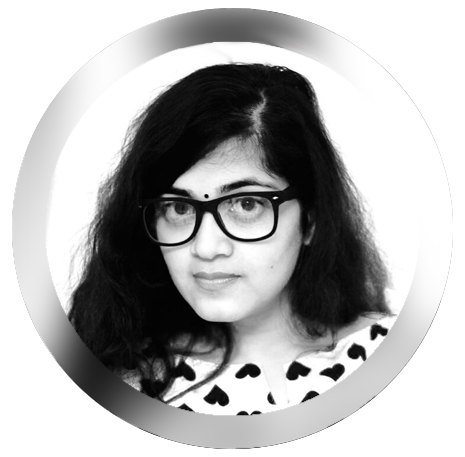 Garima is currently working as an associate creative director with Langoor Digital Pvt. Ltd., designing and strategizing digital experiences for clients spanning India and Australia. She has spent 8 years of her design career, designing experiences and communication strategies for corporates and mentoring startups to design their business around the users needs effectively. She had also co-founded an e-commerce company, which helped to get well designed and made in India furniture to the Indian consumers. Dr. Murli Nagasundaram is a Professor of Management and a consultant on creativity, innovation and design thinking in business, government, education and society. He has been teaching at business schools, training and facilitating business teams, performing research, and conducting innovation and creativity workshops for over two decades. 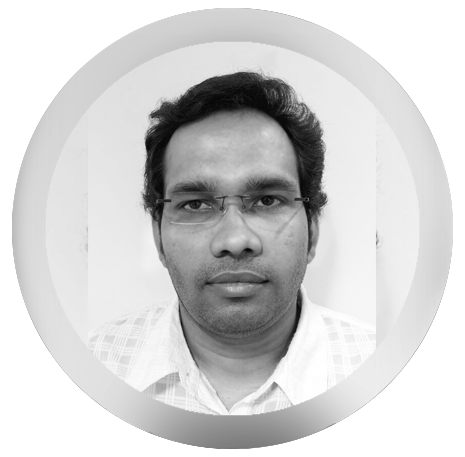 Murli has a PhD in Management Information Systems (U of Georgia, Athens); PGDM (IIM Kolkata); and BE (NIT Tiruchirapalli). He was also trained in the Osborn-Parnes Creativity Problem Solving Methodology (CPS) at the Creative Problem Solving Institute (CPSI) founded by Alex Osborne and Dr Sidney Parnes. 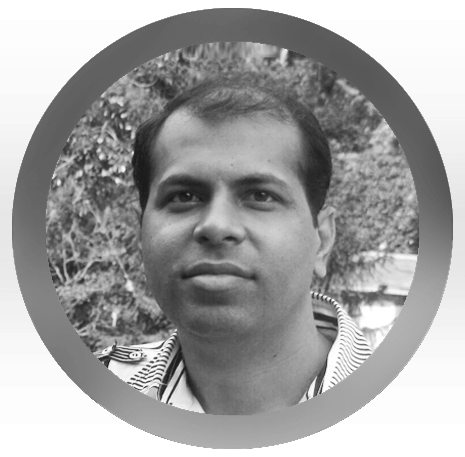 Murli’s early experience in the IT industry led him to pursue a PhD in Management Information Systems. In the 1980’s he co-founded Collaborative Technologies Corporation, in Austin, Texas, where he helped develop VisionQuest, a pioneering groupware tool to structure and augment group interaction and creative thinking, as well as the socio-technological theories on which it was founded. Later, he was a tenured faculty of the College of Business at Boise State University, Boise, Idaho. He has also has taught, conducted workshops, and consulted at institutions and corporations in the US, Singapore, Dubai, and India. Student of Interaction Design at IDC, IITB. Architect, has designed retail spaces for Fastrack and Tanishq. Interested in smart living spaces and inclusive design. Madan Padaki is the Co-founder, CEO & Managing Director of Head Held High Services, a rural access accelerator that unleashes the power of the Ruban (a term for the neo rural-urbans) by providing career access to youth, business access to entrepreneurs and market access to corporates. Partnering with other Education leaders, Madan is also a co-founder & Director of Sylvant– a pioneering initiative to create a robust scaffolding for education entrepreneurs to succeed. Sylvant invests and supports early stage education entrepreneurs and has a current portfolio of 8 education start-ups in India. An engineer from NIE Mysore and an MBA from SPJIMR, Mumbai, Madan had worked with Wipro, Infosys and Mphasis (Japan) – before being bitten by the entrepreneurial bug in 2000 when he co-founded MeritTrac – as a pioneering idea in skills assessments. MeritTrac is today India’s Largest Skills Assessment company and is recognized as a thought-leader in the sector. MeritTrac was acquired by Manipal Global Education Services, one of India’s largest education services company. In 2011, Madan moved to Manipal head up Strategy, Innovation and International Partnerships for Manipal Education and transitioned out in March 2013 to take a full-time role in Head Held High Services. He is also on the Governing Council of TiE Bangalore, Indo-American Chamber of Commerce, Karnataka and is a founding Partner of Social Venture Partners, Bangalore. UX Designer on an entrepreneurial journey. I have been closely involved in building interesting products with multi disciplinary teams for the last 5 years. Industrial design, design for future, lifestyle products and mobile experiences are powerful motivators for me. I have worked at Hewlett Packard Design Studio, Credibase.com, and Amazon. I am currently building Inves, a Fintech startup focussed on making investing easier for first timers in India.I have wanderlust and a weakness for good grub. I would love to talk about my current experience as a designer+founder. Also anything related to canines, science fiction, and good grub would interest me.